After cooking pumpkin recipes pretty much from September until now, I am ready for my next favorite holiday treat - gingerbread! 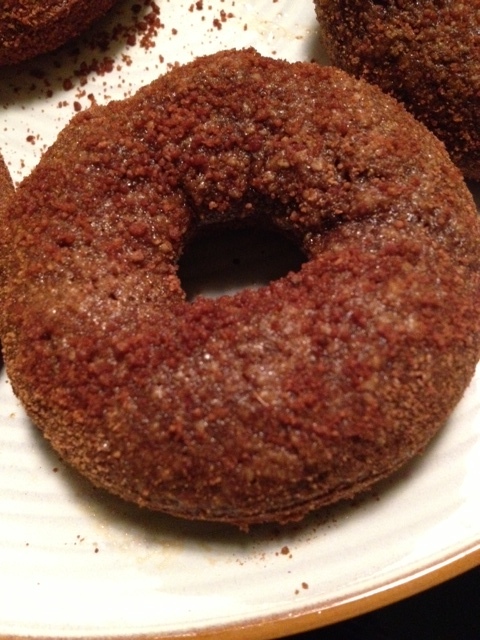 Jenni Hulet at The Urban Poser has done it again, as soon as I read this post about her gingerbread donuts I was off to the kitchen. These were very simple and absolutely delicious. 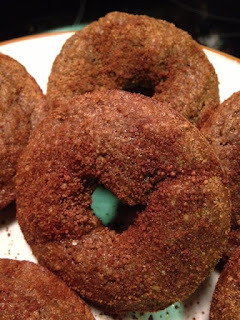 It's a change from the traditional gingerbread cookie and is a perfect holiday treat. 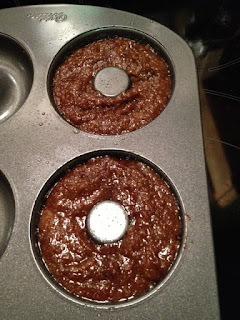 I followed this exact recipe, except I skipped beating the egg whites because I was short on time and she says they come fine without that step, but next time I make these I will try adding that step to see the difference. 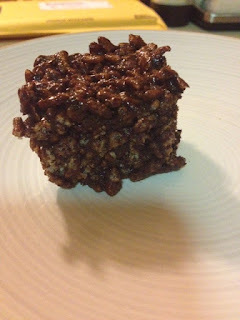 When I saw this post earlier today for peppermint patty rice crispy treats from The Balanced Platter, I knew I had to make something like this. 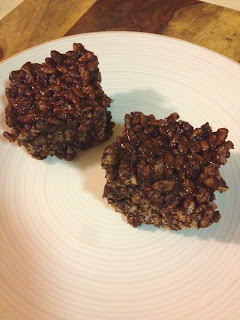 When I use to eat sugar loaded treats, peppermint patties and rice crispy treats were two of my favorites! 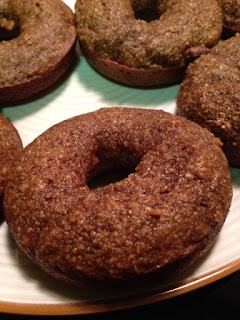 I followed the ingredients, amounts and directions from this recipe, but I used almond butter instead of the sunflower seed butter and I used raw cacao powder instead of cocoa powder. These came out amazing, better than any rice crispy treat I had before! My kids also loved these and asked if we can have them again tomorrow for dessert! I have been gluten free for almost two years now and have succeeded at finding a satisfying replacement for just about any dessert I use to like. I was never a fan of pie, but when my daughter asked me to make a gluten free apple pie for Thanksgiving, I had to make a good one. After researching gluten free pie crusts, I came across this one from Brittany Angell at Real Sustenance and it was so easy to make and easy to work with. 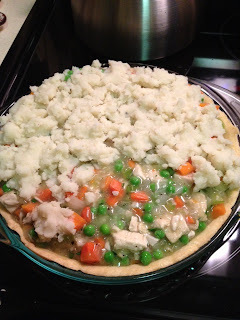 The only thing I did differently than the instructions was put the piece of dough onto the pie plate and push it into place. 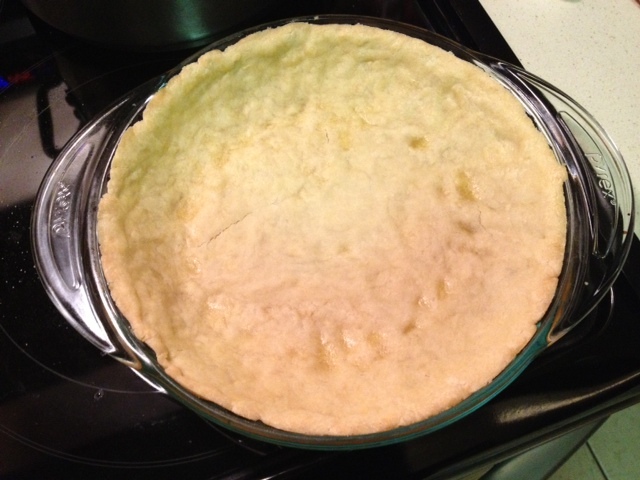 This crust came so good, I can't wait to experiment with more pies. 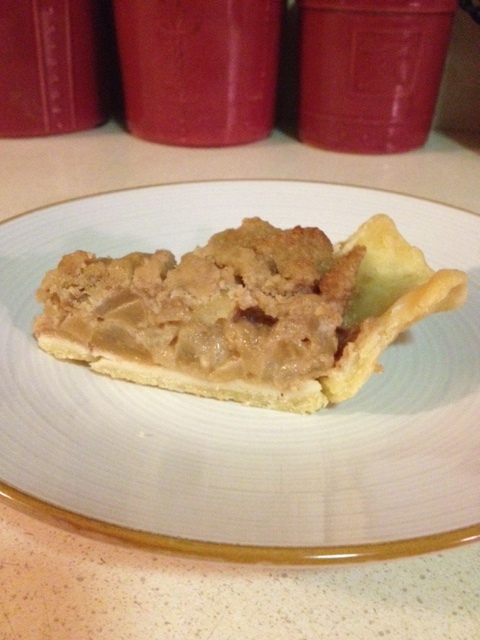 I may not have been a fan of pie as a gluten eater, but I am now! Preheat your oven to 350 degrees. For the filling, heat coconut oil in a pan and add apples. 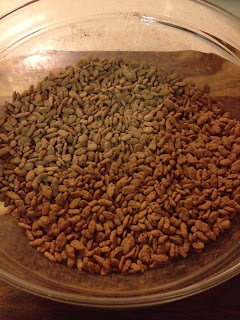 Start cooking until they begin to soften. 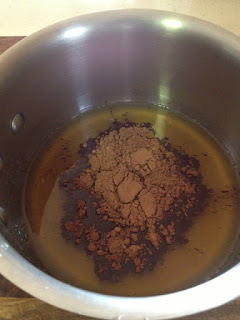 Add the maple syrup, lemon juice, arrowroot, nutmeg and cinnamon. Cook for about 10 minutes. 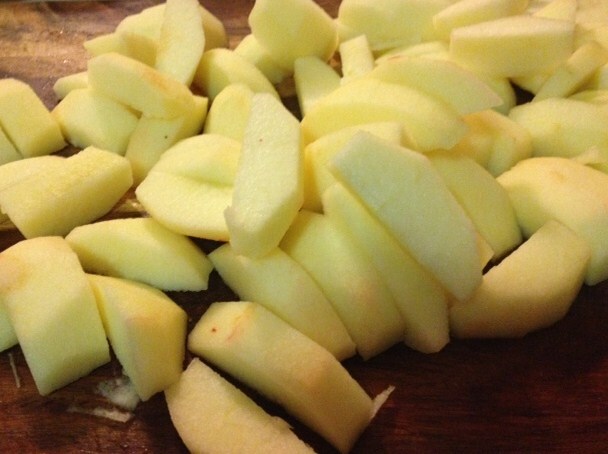 Add the water, cover and cook on low until apples are very soft. For the topping, combine the almond flour, salt, cinnamon and nutmeg in a bowl and whisk until combined. 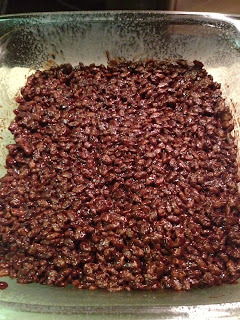 Add the coconut oil, maple syrup and vanilla and stir until crumbs form. Remove the apples from the heat and set aside. 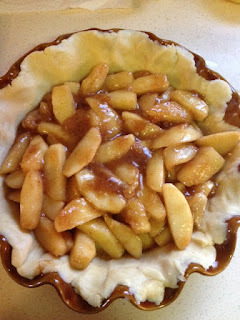 Make your pie crust according to directions or if your using a pre-made crust your ready to fill the shell. 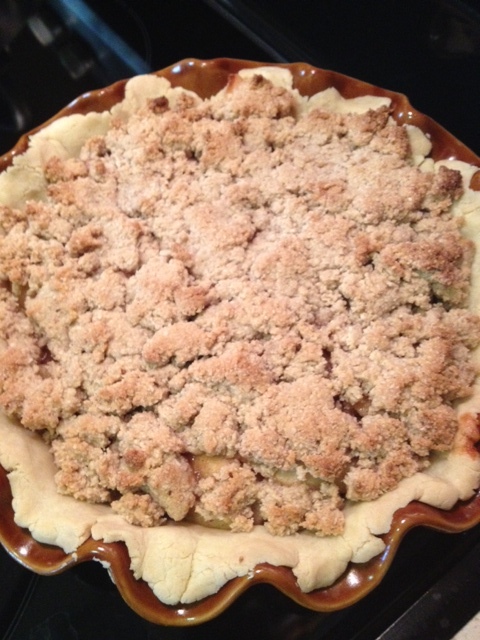 Add your apple mixture to your pie crust and sprinkle the crumb mixture evenly over the top. Bake for 30 minutes. 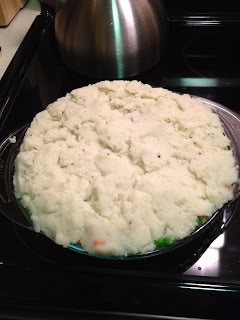 Remove and let cool before slicing. The days after Thanksgiving, I like to decorate for Christmas and eat leftover turkey. This year I decided to try a pot pie, I made this crust for my Apple Crumb Pie and since the recipe makes two crusts, I froze one for this pot pie recipe. 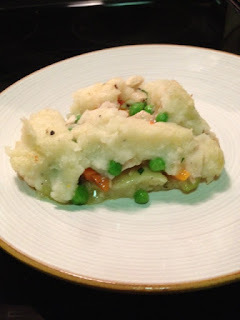 This recipe will also work with chicken so it can be made anytime you have leftover chicken from a roasted chicken too! Heat olive oil in a pan and add onion. Cook until translucent about 5 minutes. Add the carrots, celery and garlic and cook about 15 minutes until softened. 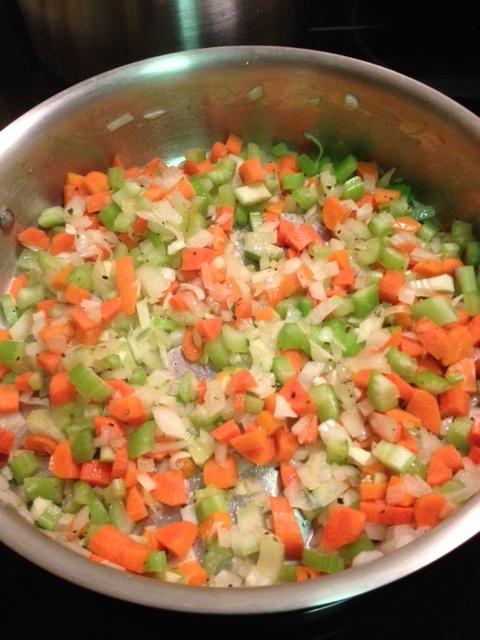 Mix the arrowroot starch with the stock and add to the pan. Add the turkey meat and cook for 10 minutes. Add the frozen peas and cook just until peas defrost. Remove from heat and add parsley, salt and pepper to taste. Fill pie crust with filling and top with mashed potatoes. Bake for 30 minutes until potatoes are lightly browned on top. 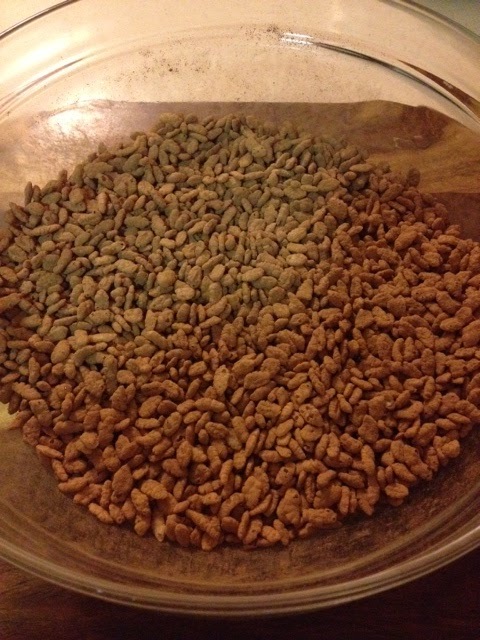 You can also put them under the broiler for the last few minutes to brown if you want. I've always loved chocolate, it is one of my favorite desserts. 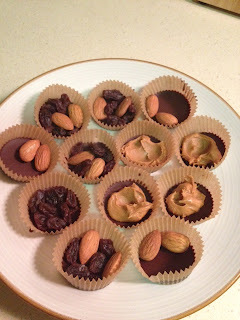 When cutting out sugar, I tried to elimate my evening chocolate, but that didn't work. I need that little bit of chocolate at night after dinner. It is something that I truely look forward to. 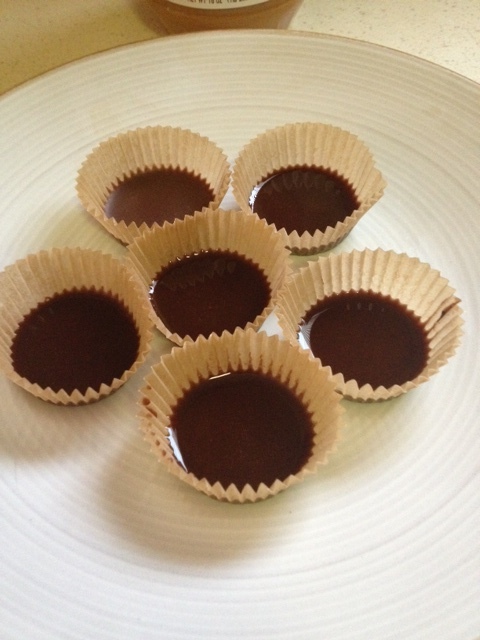 Now I turn to real, unprocessed, homemade chocolate. If you think it is way too hard or you don't have time, you will see how easy it is with the recipe below. 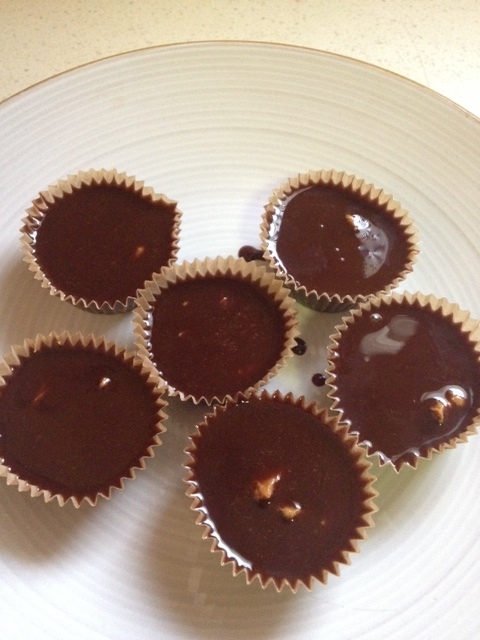 I was motivated by this recipe from Liana from The Earth Diet and with only a few ingredients you can make some great homemade chocolate desserts. 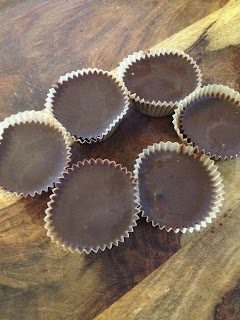 My kids love this chocolate and don't miss any packaged chocolate at all. Cacao raises the level of serotonin in the brain which gives us a sense of well-being. There are healthy fats found in cacao butter. 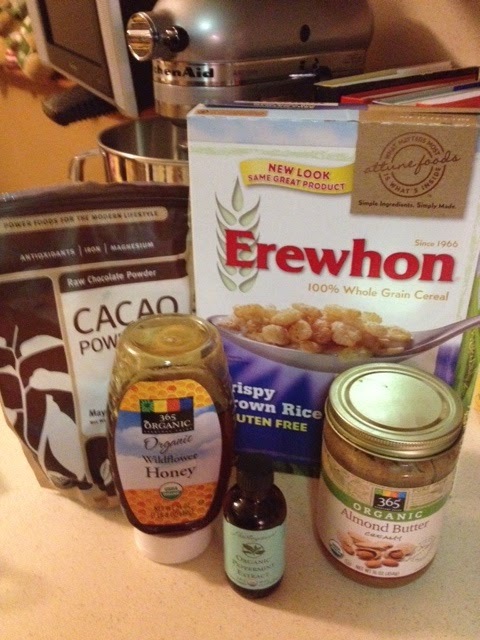 Cacao contains oleic acid, a heart-healthy fat. 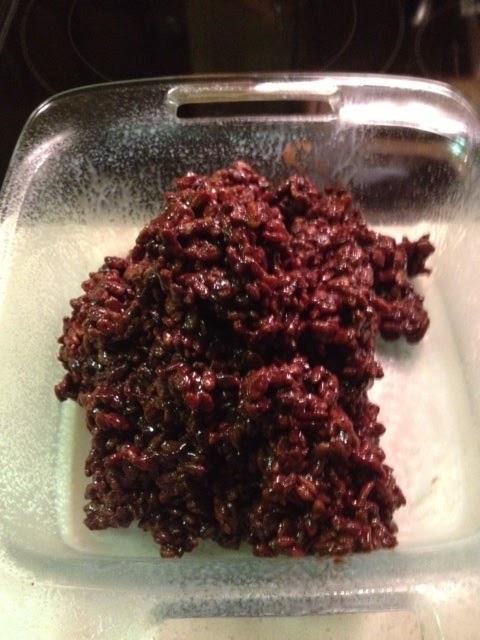 Cacao has more antioxidant flavonoids than any food tested so far, including blueberries, red wine, and green teas. The benefits of these antioxidants include promoting cardiovascular health, reducing the risk of stroke and heart attacks, lowering LDL cholesterol and regulating blood pressure. Cacao beans are rich in essential minerals, including magnesium, sulfur, calcium, iron, zinc, copper, potassium and manganese. Cacao seems to be the #1 source of magnesium of any food. Magnesium balances brain chemistry, builds strong bones, and helps regulate heartbeat and blood pressure. It is important to eat chocolate that is in its natural state. Commercially processed chocolate loses many of the health benefits. 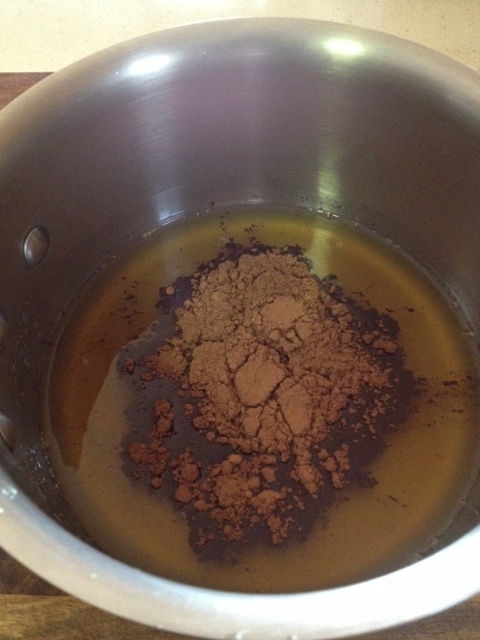 Melt the cacao butter over low heat until melted. 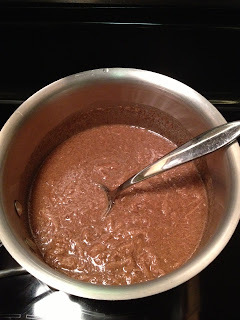 Add the maple syrup and cacao powder and whisk until smooth. Fill the bottom of paper liners with a layer of the melted chocolate and put in refrigerator to set. For the peanut butter cups, scoop a small amount of peanut butter onto the hardend chocolate. For the Raisin and nut clusters, put a few raisins and/or nuts on top of the chocolate. Top the peanut butter or raisins and nuts with more melted chocolate and put back in the refrigerator to set again. Take out when chocolate has hardened and Enjoy! Every since The Earth Diet book by Liana Werner-Gray was available to pre-order, I had my copied ordered! 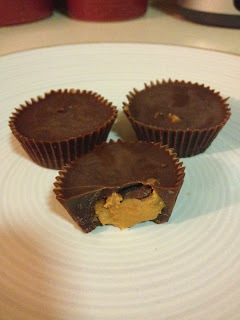 The first thing I made when I got it was the Peanut Butter Cups, you can read about them here. Last night I had the opportunity to take a raw food class taught by Liana. The class was awesome and she is so nice and easy to understand! If your lucky enough to be in an area where she is teaching or speaking, I highly recommend you go. 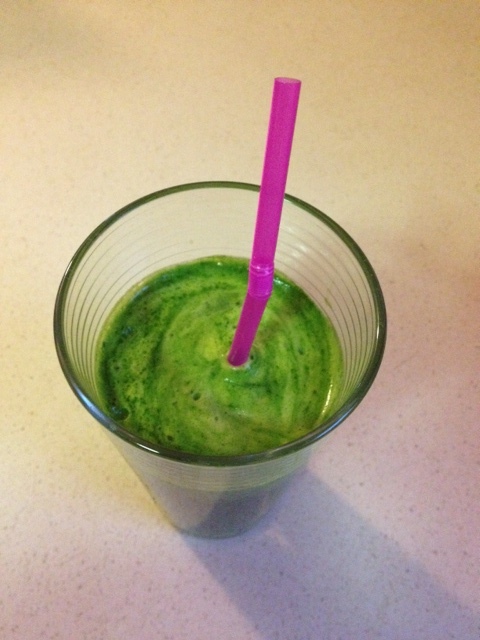 She taught how to make some juices and the raw cupcakes in The Earth Diet book. I am looking forward to making these for Thanksgiving this week. If anyone is concerned about kids accepting raw desserts, Liana was nice enough to let me take two of the cupcakes home to my kids and they ate them right up!! My kids also love the raw cookie dough bites you can read about them here. I am happy to continue to give my kids the highest quality, nutritious foods there are, without them having to miss out on dessert! Salmon is one of my favorite fish to eat. 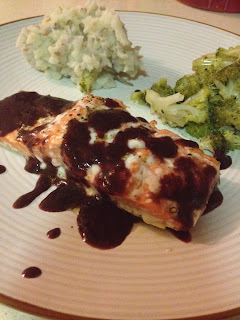 I recently started making this blackberry, balsamic glaze and it gives a really nice variation to this dish. 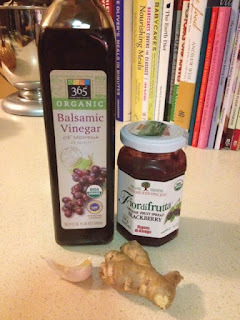 I don't like sauces that are too sweet, so this one has the perfect amount of sweetness without any added sugar. 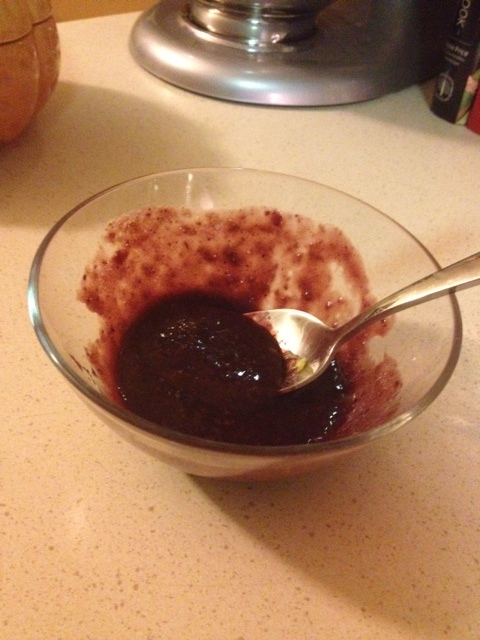 Make sure to use a jam that is sweetened with fruit only, not sugar. 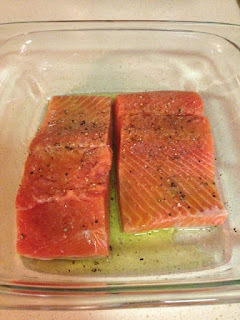 Preheat the oven to 450 degrees F. Drizzle olive oil on a baking dish and lay salmon on top skin side down. Season with salt and pepper. Bake for about 15 minutes until cooked through. While the salmon is cooking make the glaze. For the Glaze, grate the ginger and garlic and put into a bowl. I love my OXO grater. Add the rest of the ingredients and whisk together. When done, pour glaze over cooked salmon. 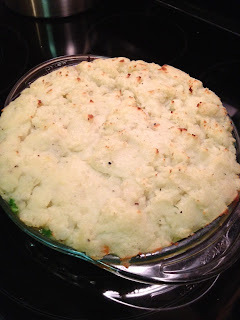 I served these with broccoli and dirty mashed potatoes (skin left on)!